Bluefin’s mobile PCI-validated P2PE solution, QuickSwipe, encrypts cardholder data within a PCI P2PE approved point of entry device so it does not reach the merchant or enterprise system or network as clear-text cardholder data – where it could be accessible to a fraudster in the event of a data breach. QuickSwipe interfaces with the BBPOS WisePad 2 PCI P2PE approved mobile device. 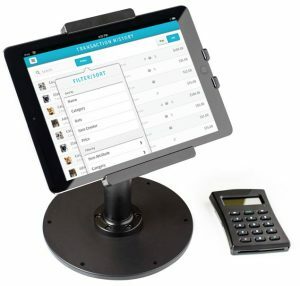 Through QuickSwipe, companies can choose to use our Mobile P2PE solution with just an iOS phone or tablet or can choose our QuickSwipe mPOS solution, including tablet stand, cash register and Bluetooth printer. 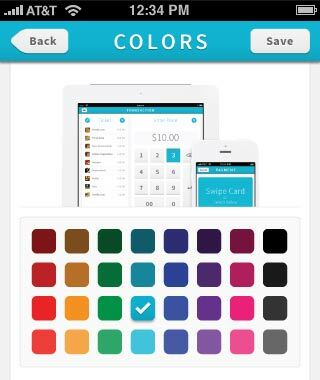 Turn your iOS device into a complete point of sale system with QuickSwipe. We give you everything you need to run your business securely and efficiently. Build an extensive catalog of items and products, right within the QuickSwipe interface, and add those items to your customer’s ticket. Simply put together the customer’s ticket, process the payment, and have the customer sign on your tablet or phone with their finger. See all of your past transactions, perform refunds, email receipts, and cancel recurring payments, all from the QuickSwipe web interface. Support cash transactions for journaling and customer receipt; simply select the cash option when completing the transaction. Receipts include company name, transaction amount, and a GPS map for the location of where the goods were purchased – emailed automatically to both you and your customer. Swipe credit and debit cards using the encrypted Shuttle magstripe reader from ID Tech, or choose our ACH option to have payments deducted directly from your customer’s account, either one-time or on a recurring schedule. Use our intuitive administrative interface to customize QuickSwipe to your company, with your company’s colors, information, and logo. 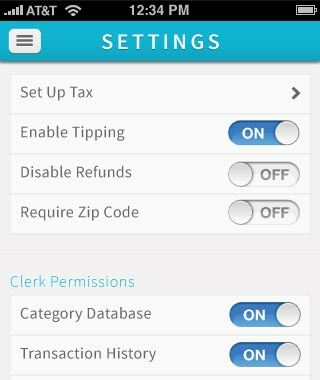 QuickSwipe allows you to set taxes for state, federal and county, and enter in tips, either as a dollar amount or a percentage of the bill. 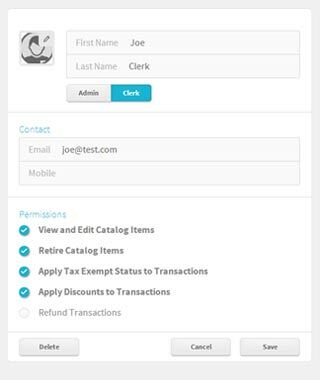 Add new users quickly and manage their permissions, from editing catalog items, to applying discounts to transactions, to issuing refunds.